This boost to the economy could not have happened without a massive amount of volunteering. All together around 1500 volunteers were involved in planning and delivering these events. The Scottish 6-days is staged every two years by the members of the orienteering clubs in Scotland. Hence the The World Championships, held concurrently, needed to look further afield to fill its “Event Team” of volunteers. The chart below shows where these people came from to stage this World Class event in Moray and Highlands. Almost a third of the World Championships volunteers came from Scotland. More than half of these volunteers from Scotland came in the form of local runners, experienced in organising running races, who wanted to help stage a World Class event on their doorstep. Members of the Technical team were also local as they needed to make regular visits to the orienteering areas to plan the courses. The Event Team also included Commonwealth Games Clydesiders who had enjoyed their part in Glasgow 2014 and wanted more – bringing valuable experience of high-profile sports events to WOC2015. 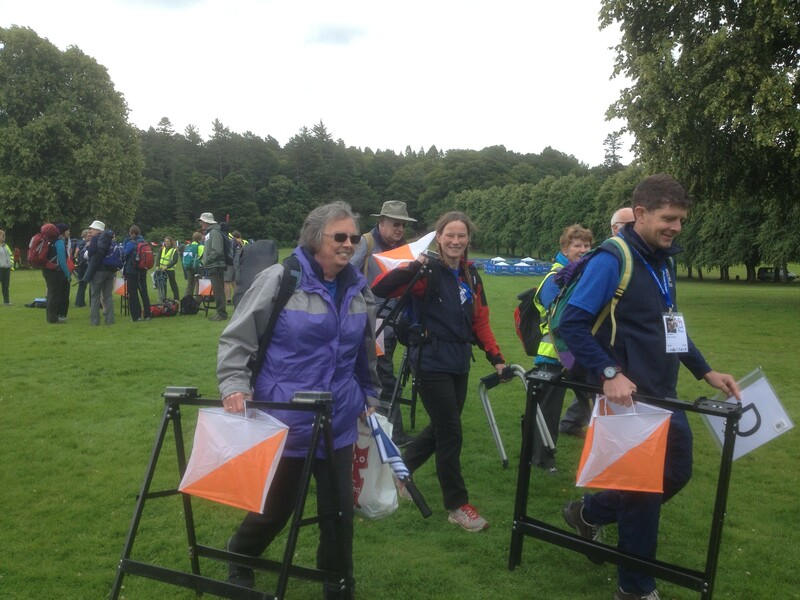 The majority, 65%, of the volunteers came from England and Wales, with most, but not all, being club orienteers. We even had volunteers coming from further afield including Scandinavia and Eastern Europe. The World Orienteering Championships was a successful, high profile event, shown on live TV, that received great feedback from top athletes. We now know that it also had a positive impact on the local economy. On behalf of British Orienteering, The Scottish Orienteering Association and all the athletes that competed, I would like to say a sincere thank you to all the volunteers that made these events happen. Thank you to the Clydesiders, the locals, the runners, the club orienteers, the Duke of Edinburgh students, and everybody involved. You signed up to support the event because it was local or it was your sport, and maybe becuase it sounded exciting, but we didn’t imagine that collectively us volunteers would contribute so much to the local economy. This entry was posted in Uncategorized by Linda Cairns. Bookmark the permalink.